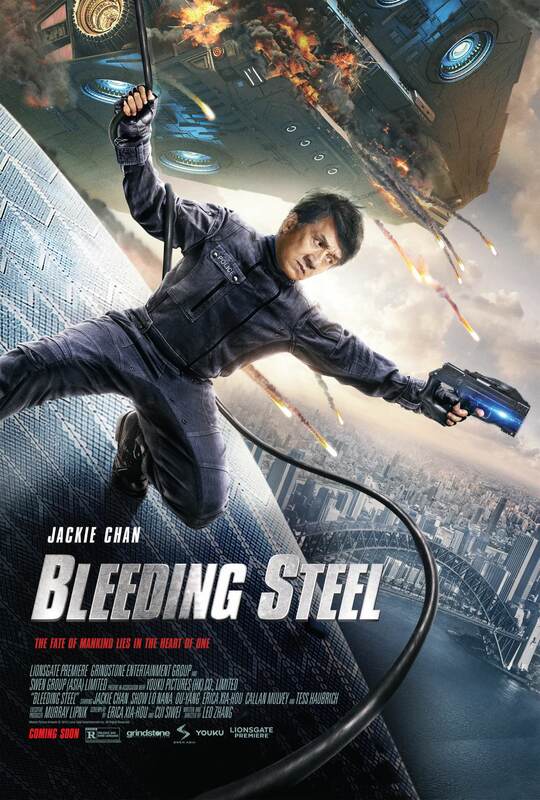 Lionsgate Premiere has released the first trailer and poster for the sci-fi movie Bleeding Steel, which stars Jackie Chan. The film was written and directed by Leo Zhang, and also stars Show Lo, Nana Ou-yang, Erica Xia-hou, Callan Mulvey and Tess Haubrich. It will be released in theaters and on demand on July 6.